The so-called Duty Free run is a 5km-long, gently meandering intermediate trail with stunning views that takes you over the border into the small village of Samnaun in Switzerland. Treat yourself to real Swiss hot chocolate at the Schmuggler Alm before heading back to Ischgl on the impressive double-decker gondola. An ideal area for intermediates on the Swiss side of Ischgl, with fast lifts and several blue pistes that are generally quieter than the main Idalp ski area. Get on the mountain early on a powder day and make the most of the limitless descents into the Höllenkar valley accessed from the Höllenspitz chair or by cutting across into it from Greitspitz. The angles range in steepness – confident intermediates will be able to find their powder feet on the gentler slopes while advanced skiers will be challenged on the steeper pitches. Plans have been afoot for several years to build a lift up Piz Val Grona to open up the gentle, open bowl of the Fimbatal to the west of the ski area, but they're currently being held up due to sightings of rare birds. 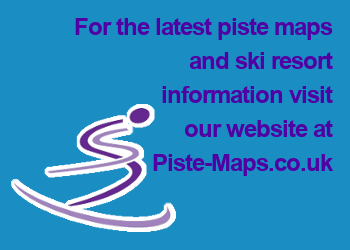 In the meantime, intermediate skiers can enjoy the views into the valley from the long, red 40 piste while advanced skiers can book a guide to drop off the back of Palinkopf and ski down into the valley. Another classic guided route, best suited to advanced skiers, involves a short hike from the Visnitzbahn chair up to Visnitzkopf before a long descent to nearby Kappl, bringing you out by the valley road opposite the village.